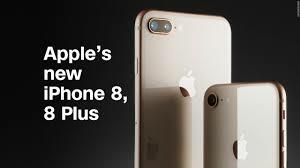 According to test reports filed with the Federal Communications Commission (FCC), the Specific Absorption Rate (SAR) for the iPhone 8 (CDMA Models A1663, A1907) for cellular transmission is 1.14 watts per kilogram (w/kg) at the head, and 1.08 w/kg when worn on the body. The hotspot/Airplay SAR is 1.08 w/kg. The SAR for simultaneous transmission (cellular plus Wi-Fi) is 1.51 w/kg at the head, 1.56 w/kg when worn on the body, and 1.56 w/kg when used as a hotspot. The SAR for the iPhone 8 (GSM Model A1905) for cellular transmission is 1.09 watts per kilogram (w/kg) at the head, and 1.09 w/kg when worn on the body. The hotspot/Airplay SAR is 1.09 w/kg. The SAR for simultaneous transmission (cellular plus Wi-Fi) is 1.56 w/kg at the head, 1.51 w/kg when worn on the body, and 1.58 w/kg when used as a hotspot. The SAR for the iPhone 8 Plus (CDMA Model A1864) for cellular transmission is 1.09 watts per kilogram (w/kg) at the head, and 1.09 w/kg when worn on the body. The hotspot/Airplay SAR is 1.09 w/kg. The SAR for simultaneous transmission (cellular plus Wi-Fi) is 1.48 w/kg at the head, 1.59 w/kg when worn on the body, and 1.59 w/kg when used as a hotspot. The SAR for the iPhone 8 Plus (GSM Model A1897) for cellular transmission is 1.09 watts per kilogram (w/kg) at the head, and 1.09 w/kg when worn on the body. The hotspot/Airplay SAR is 1.09 w/kg. The SAR for simultaneous transmission (cellular plus Wi-Fi) is 1.45 w/kg at the head, 1.50 w/kg when worn on the body, and 1.59 w/kg when used as a hotspot. All SARs reported above are averaged over one gram of body tissue corresponding to the US standard. The SAR values vary by cell phone carrier: Verizon and Sprint use the CDMA models, and AT&T and T-Mobile use the GSM models. The SAR values listed above are for conventional cell phone communications using spectrum licensed to cell phone carriers (i.e., PCE). Apple lists slightly higher values on its website for the head and body which represent cell phone communications using unlicensed spectrum (i.e., NII). The SAR values for the Samsung Galaxy S8, 8 Plus, and Note smart phones were obtained at a separation distance of 15 mm (about six-tenths of an inch) from the body so the body-worn SAR values are not comparable to those reported for the Apple iPhones. For more information see my article about Samsung smart phones.